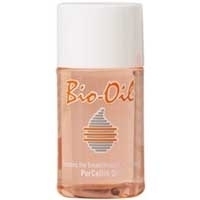 I always hear good things about Bio Oil yet I am very disappointed with its lack of results. I feel as if my skin is growing to depend on the product to feel moisturised. The application bottle is also annoying as it spills everywhere. If you're looking for something to help with stretch marks go for Dr. Hauschka's range as it is far better quality and you can see noticeable differences.